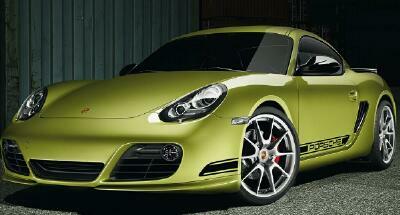 The new 2012 Porsche Cayman R.
Greetings of the season Milwaukee Region PCA members. Our 50th anniversary year is winding down. While there are no club events this month, the board has been busy preparing for the future. At the meeting on Dec. 2, new board members were seated as a result of the recent election, and new officers were selected by the directors. You can read about the new leadership team in this newsletter. Also check out the list of new members that we are welcoming, the listing of December membership anniveraries and more. Region members cast their ballots in November and elected the following to two-year terms on the region board: Greg Kovacs, John McGarry, Gary Messing and Renee Messing. These four will join Todd Roberts, Ron Pace and Rick Zinda, who are serving the second year of their two-year terms. In January, the board will appoint a fourth director to complete the remaining year of Don Kiepert's term. After many years of service as a board member and officer, Don has resigned from the board. In the January edition of Steinlifters Online we will profile each of the board members to provide additional information about the region's leadership team. Thanks to Jerry David, Don Berchem, Don Kiepert and Paul Stewart for their board service. The new board elected officers at the Dec. 3 board meeting. The 2011 board includes left to right Ron Pace, vice president; Renee Messing, treasurer; Greg Kovacs; Rick Zinda, president; John McGarry, secretary, and Gary Messing. Todd Roberts is not pictured. 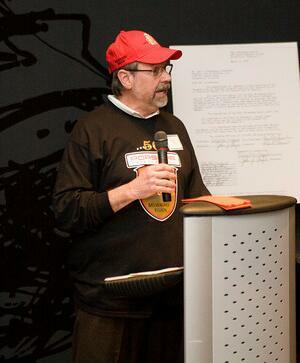 It’s my pleasure to write a few words to express the Milwaukee Region’s gratitude to Don Kiepert, who has served as President for the past four years. Don joined PCA in 2000 and since the day he joined he has been an enthusiastic participant. A man on the move! It didn’t take Don long to step up and contribute in a variety of ways. Early in his membership he authored fascinating articles about the mechanical upgrades he was doing to his Speed Yellow 914. Titled the 914 Nook, these articles and great pictures regularly appeared in our printed newsletter. Many of us waited with great anticipation for the next edition of the Nook to see what Don was up to during the off season. It wasn’t long before Don took over as Editor of the Steinlifters newsletter. As volunteers diminished, Don was willing to take on the expanded role of Editor plus layout designer. Don performed this monthly task for several years until the expense of printing and mailing a newsletter became an economic hardship to our Region. His role as editor/layout person overlapped two of his years as Region President. Talk about double duty! Don organized the region’s participation in the 2009 Germanfest at Milwaukee’s lakefront. He also continues to actively participate – and regularly places among the top finishers – in our region’s autocross events. He is a driver education guy too. 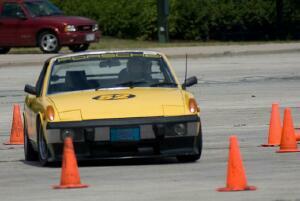 You’ll find Don navigating the Blackhawk and Road America courses expertly each year. You’ll also see Don at tech sessions, driving tours and social events. In 2010 – our region’s 50th anniversary year – Don participated in virtually all anniversary-related events. Every month for the past four years Don has chaired the Board of Directors meetings. This monthly commitment is not insignificant as it requires pre-meeting preparation and post-meeting follow up. Not to mention the challenge of keeping order and focus at the meetings when you have a bunch of Porsche nuts sitting around the same table. At times it is rather like herding cats! While he’s stepping down from the Board, Don’s not letting up on the accelerator of his involvement with the region. He has agreed to co-chair the Autocross committee for 2011 and no doubt he will be flashing through the turns at our DE events and on the autocross course. Thanks Don for all you’ve done and your service to the region’s members. Words do not adequately express our appreciation for all that you have done. Enjoy the years ahead as an active member, with somewhat fewer commitments. Feb. 5 - New! Carrera Chili. A decades-long tradition in our region, Turbo Spaghetti alternates with Carrera Chili as the dinner entree for our annual social get together in winter. In 2011, it's time for chili. Members and guests are invited to cook up a batch of their secret chili recipe. The club will provide salad, condiments for chili, desserts and beverages. Stacey and Geoff Wilde will be our hosts for the 2011 event. Geoff and Stacey live in Racine and have hosted this event in the past. More details to be posted. Editor's note: In this column we invite all members to tell us about themselves and their Porsches. Contact the online newsletter editor with your information -- your car, unique features, how you found it, etc. Ray Atchinson recently transferred to our region from the Chicago Region. He drives a 1977 911S. He added a functional 964 rear deck wing, SC flares, updated cooling, but backdated heat and ceramic coated early exhaust. Front suspension is Bilstein/Eibach coil-over with RSR low friction bushings and bump steer. Track upgrades include Performance Friction brakes, roll bar with Schroth harness, Hero HD and Qstarz data logging. “The car's name is Lazarus - this is its third engine and third or fourth makeover since I've owned it,” Ray said. He previously owned a 1986 944 Turbo that “burned to the ground after a fuel rail leak erupted while driving with my then 8 year old son,” Ray said. His "home track" is Blackhawk Farms in Rockton, Ill., the site where our region often hosts drivers education events. He works in Fond du Lac where he is a VP-Business Development for Global Parts and Accessories. He received his undergraduate degree from Empire State College/SUNY, a Masters in manufacturing management from GMI (now Kettering University) in Flint, Mich., and a Doctorate in Business Administration from Nova Southeastern University in Ft. Lauderdale, Fla.
We look forward to seeing Ray at our DE events and on driving tours. Remember, you can advertise your Porsche or Porsche-related items free of charge. The website has the instructions on how to submit an ad to the webmaster. See the latest classifieds here. Thanks to region member Fred Schwierske for the tip found here -- a listing of gas stations in the U.S. that sell ethanol-free gas. 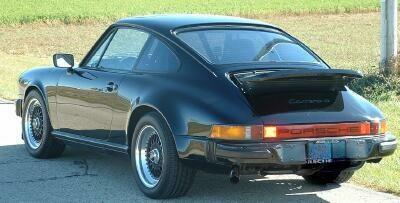 If you prefer to fill up your older Porsche with this fuel, you may want to bookmark the web page with the listing. Note, the web page also invites visitors to add stations to the list. Region members and their guests enjoyed a casual get together over dinner in mid November at the Packing House restaurant near Milwaukee's airport. At the conclusion of dinner, awards were presented to the top autocrossers in our region. Read the details and see the photos here.